Located in Astoria, this modest one family house remains a reminder of a past time. The owners, a repeat client, requested a study to explore how the home could more graciously accommodate their family. The top priority was to create more bedroom space as well as a large open kitchen / dining area. A detailed code and zoning analysis was completed to determine the various massing and plan options for expansion. 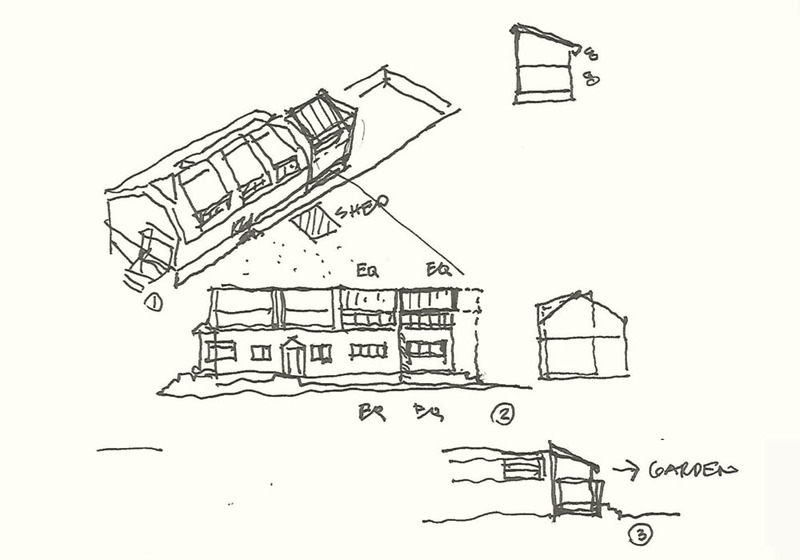 The house would either expand up vertically, or horizontally to the rear or both. 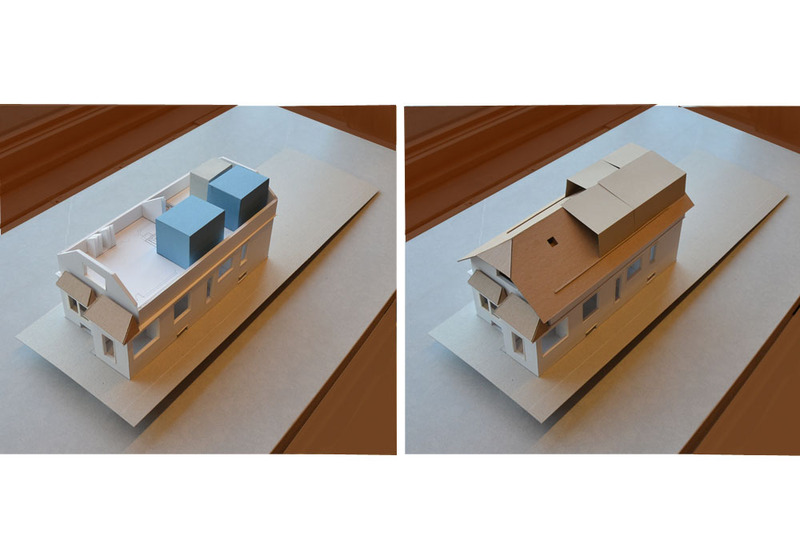 The low ceiling in the existing attic space made inserting dormers for headroom also a viable option. 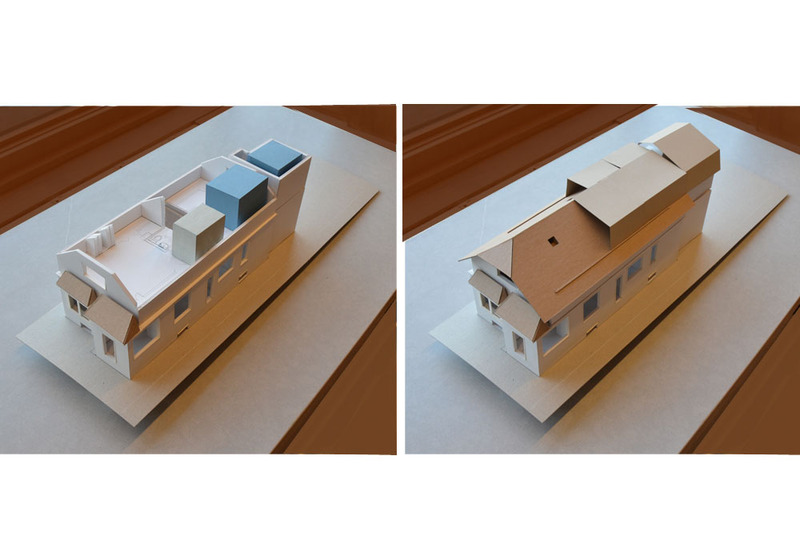 In order to best explain the challenges, a massing model was made which had interchangeable volumes to study the options.